Metro is a leading food and pharmaceutical company based out of Quebec and Ontario. It is amongst the largest food retailers in Canada. Due to the similar nature of operations, its two business segments, food operations and pharmaceutical operations, are combined into one reportable operating segment. Metro has developed a successful market segmentation strategy with its different grocery banners targeting three different market segments. For example, Metro, Super C and Adonis all target unique markets and customers. The company operates through more than 600 food stores operating under the banners Metro, Metro Plus, Super C, Food Basics and Adonis. Its drug business is conducted through 650 drugstores and pharmacies operating under the banners Jean Coutu, Brunet, Metro Pharmacy and Drug Basics. Metro and Metro Plus are leading Quebec and Ontario supermarket chain. Metro, Super C, Jean Coutu and Brunet also lead the industry in terms of customer satisfaction. Sales for fiscal 2018 were up 9.2% compared to 2017. Metro is expanding both through organic as well as inorganic growth. The company keeps growing through partnerships and acquisitions which increase its customer base and retail footprint. The latest and the largest one being that of Jean Coutu group that has resulted in the creation of a $16-billion retail leader. As of date, synergies of $6.6 million have been realised. In addition, Metro is also investing to strengthen and modernize its distribution network. The company is looking at building new distribution centres which will offer a wider range of products and will be fully or partially automated. The transformation began in 2018 and is estimated to be completed by 2023. These efforts should result in better efficiencies and reduced costs for Metro Inc. Its first automated distribution centre in Toronto is expected to go live in early 2019. With more than seven decades of experience in the consumer industry, the company is known for freshness of its products and premium quality. 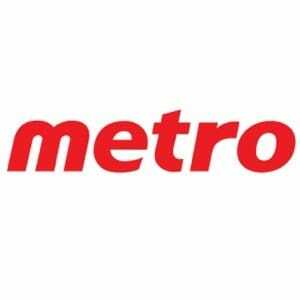 Over the years, Metro Inc has built a solid reputation and earned the trust of its customers. In order to add to customer convenience, the company is offering same-day delivery for its online grocery shopping service and also lets customers to pick-up their order at the participating stores. Its acquisition of Miss Fresh has resulted in offering its customers fresh meal-kits that saves time on prepping the food. The company through its Metro&Moi and Air Miles loyalty programs, and personalized promotions is trying to develop strong relationships with existing customers. Metro Inc. provides essential services and therefore, enjoys a regular stream of cash flow. The company’s cash flow are sustainable as it deals in food and drug business which are daily necessities. Metro Inc. has ben raising its dividends handsomely and has grown them at a 15%+ CAGR over the last decade. The company last increased its dividends by over 10%, which marked the 24th consecutive year of dividend growth. It currently has a dividend yield of 1.5% and a policy of maintaining its payout ratio near 20%-30%. Metro further, reinstated its share repurchase program in November 2018. The company has a strong business model, with return on equity (40%) for FY 2018, exceeding 14% for 25 years in a row. Growing demand for food and medicines should act as a tailwind for this Canadian Dividend Aristocrat. A proven business model, an extensive store and distribution network infrastructure, and a reputed brand name form a deep moat around Metro Inc.’s business. There are plenty of opportunities for Metro Inc. to diversify in its food segment and cross-sell products. Metro Inc is facing competition not only from the traditional brick and mortar stores but also from online players. The company is expanding online shopping as well as delivery options as it faces acute pressure from Amazon.com. On the conventional front, Metro competes with Loblaw Companies Ltd. TSE:L which is another leading grocery chain in Canada. Other contemporary is Sobeys TSE:EMP.A, which is the second largest food retailer in Canada. As a leading food retailing company in Canada, this Dividend Achiever should benefit from its well-recognized brands, large presence and ongoing investments. The company is in a strong position to increase its presence in the pharmacy market and meet the needs of consumers, as a result of the Jean Coutu acquisition. Metro is targeting long term growth on the back of successful integration of Jean Coutu business, improving customer experience, modernizing its distribution network and a growing e-commerce business. A regular stream of cash flows from a consumer defensive business and ongoing investments should support the company’s dividend growth streak in the future.